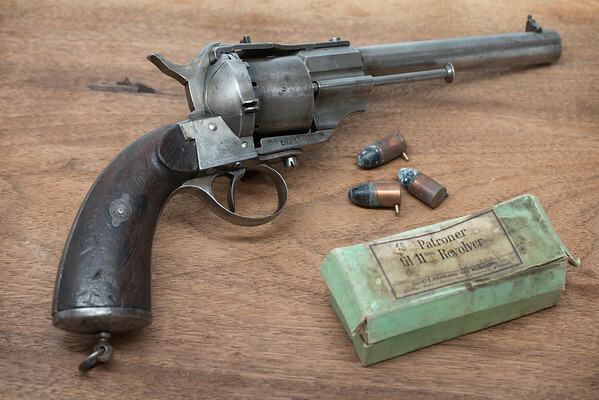 This is an example of one of the scarce pinfire boxes made by Société Française des Munitions for the Norwegian military as well as one of the Norwegian military Lefaucheux pinfire revolvers. In 1859 the Norwegian Navy ordered a handful of Lefaucheux Model 1854s for testing and then in 1864 purchased 1500 Lefaucheux model 1854 revolvers which were split amongst the Norwegian Army and Navy. 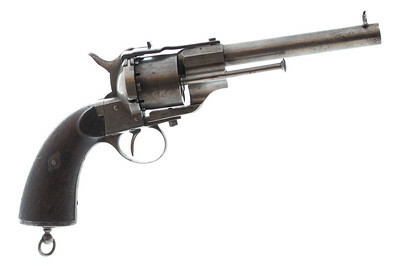 Norway designated these revolvers as the Model M/1864. 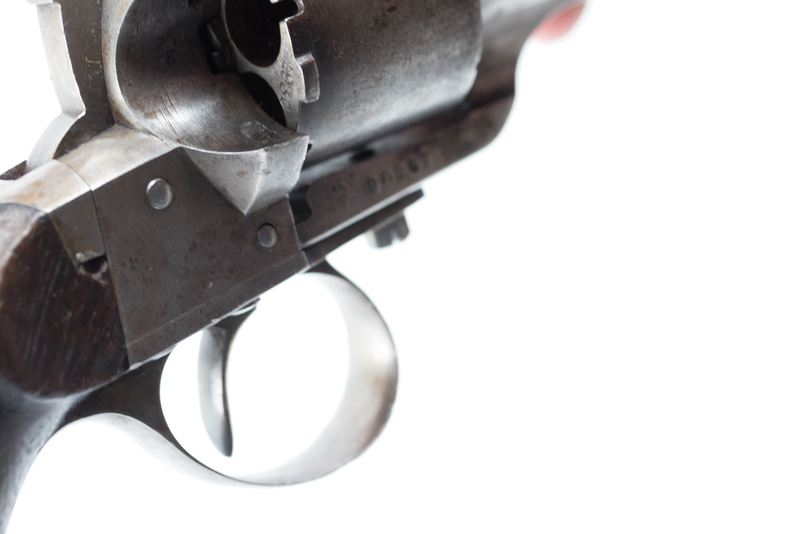 In 1898 some of these revolvers which were still in service were modified to add the piece of metal on top to stiffen the frame. These modified revolvers were designated as the M/64/98 and is what is pictured here. Norway designated the revolver as 11mm which is why SFM marked the box as 11mm. The exact same cartridges were sold elsewhere as 12mm. 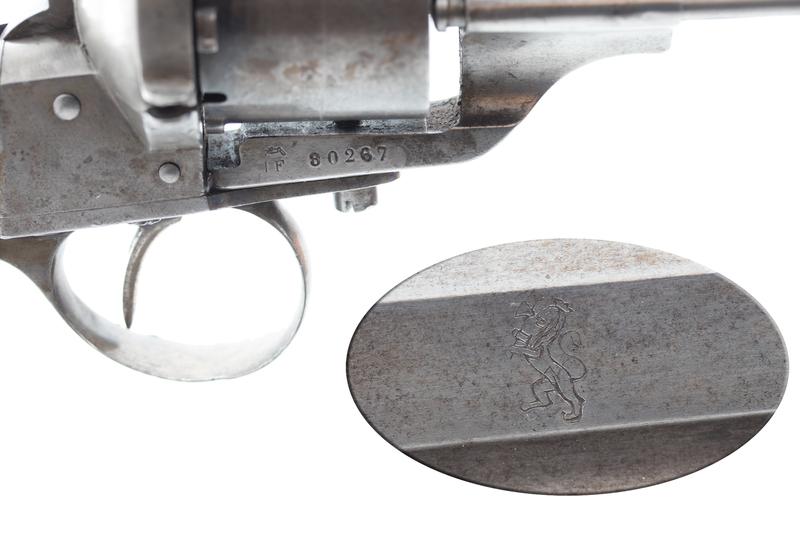 The box contains 18 cartridges which was enough to reload the revolver 3 times. 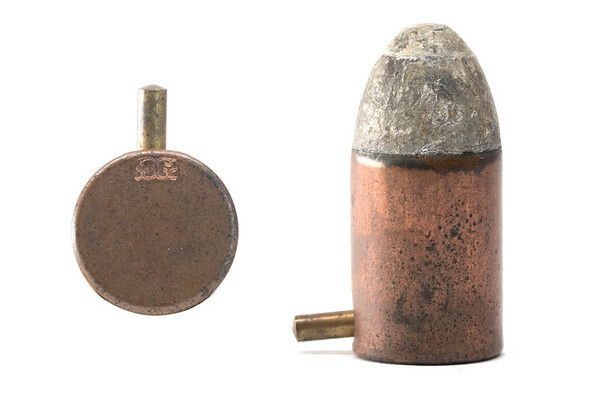 Norway also manufactured additional ball and blank load pinfire cartridges at their state-owned cartridge factories. 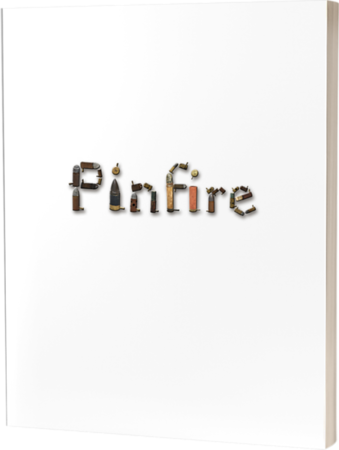 An early Norwegian manual about how to manufacture pinfire cartridges indicates that they followed the French technical specifications for these.